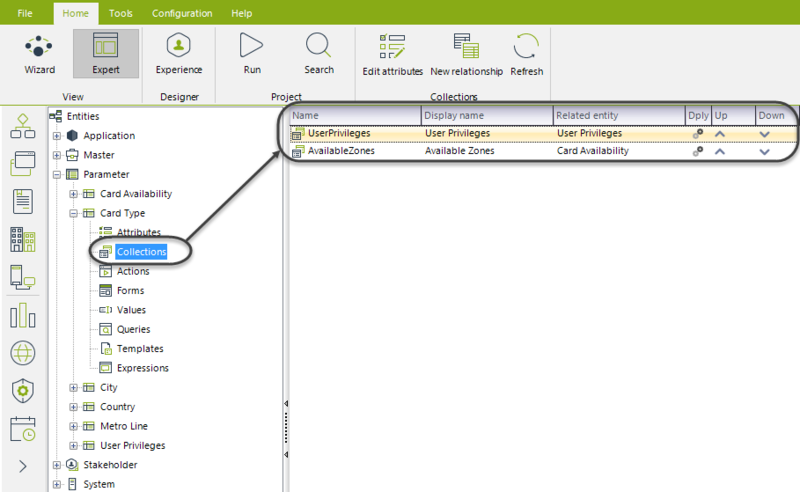 Parameter entities can be modified in the Expert view using the options mentioned below. Bear in mind that these entities can be created and configured from any data model or from this view as well. To learn more about Parameter entities follow this link. 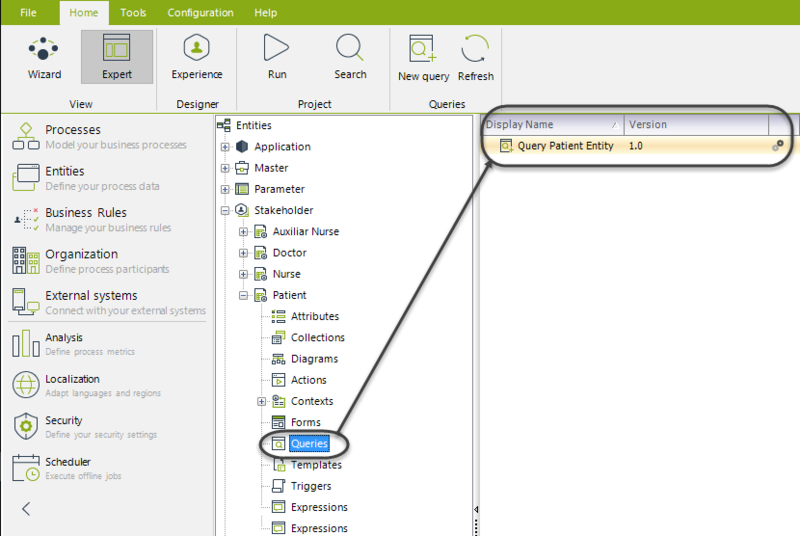 Some options are shown right-clicking a Parameter entity, or some others selecting one of the nodes of the Parameter entity. This is the same wizard to create and modify entities as the one used in the second step of the wizard (Model Data). 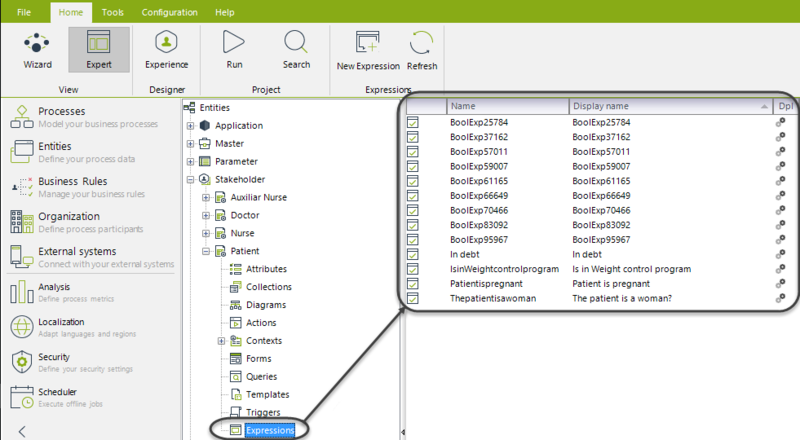 This allows to edit the display name, attributes, type of attribute, and display attribute. The name can be modified but you must also change its corresponding dependencies. •Display Form: Is the form used to display the information of the entity when managing it in the Work Portal using the Admin > Entities option. The controls added to the form will become columns of the table in the Work Portal. Learn more about the administration of Parameter Entities following this link. •Add Form: Is the form used to create a new Parameter value, when managing it in the Work Portal using the Admin > Entities option. •Edit Form: Is the form used to modify a Parameter value, when managing it in the Work Portal using the Admin > Entities option. Allows the edition of Business keys for this entity. •Web administration: This option enables (when checked) the modification of parameter values through the work portal, whether users have access rights. 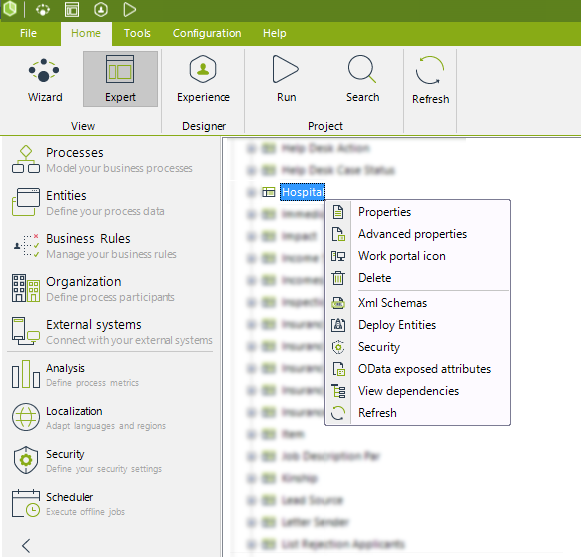 •Manage values in Production environment only: This option enables (when checked) the modification of parameter values through the work portal only when the project has been previously deployed to Production. 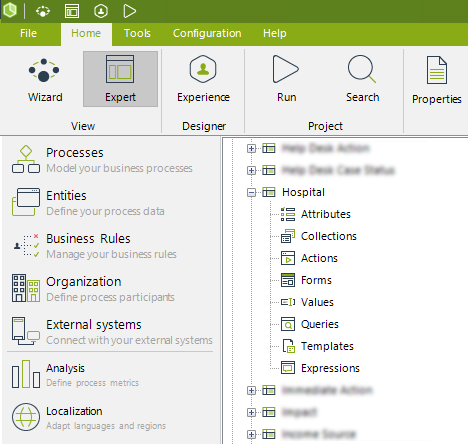 •New Form: This option will start the Forms Editor (learn more here) where the form is built. •Autogenerate form: This option will automatically create a Form with all the current entity attributes. The Values node contains all the values already stored in the database for this entity. Every value listed has its Primary Key and a column for each attribute defined for the entity. 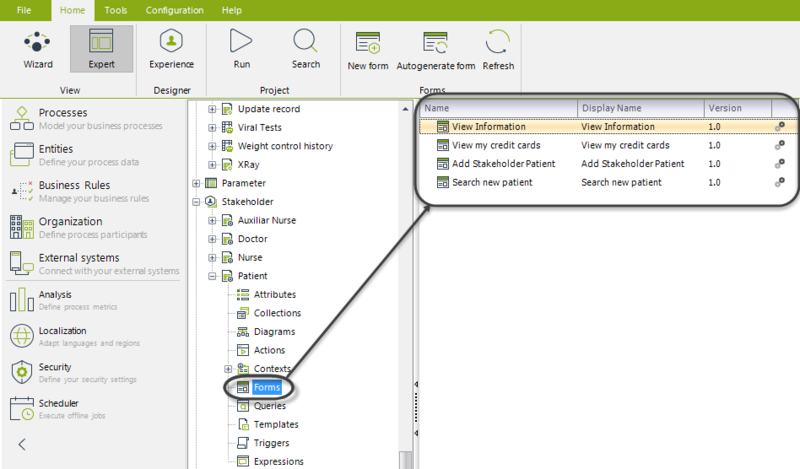 •Refresh: This option will reload the information stored from the database, refreshing the values displayed.